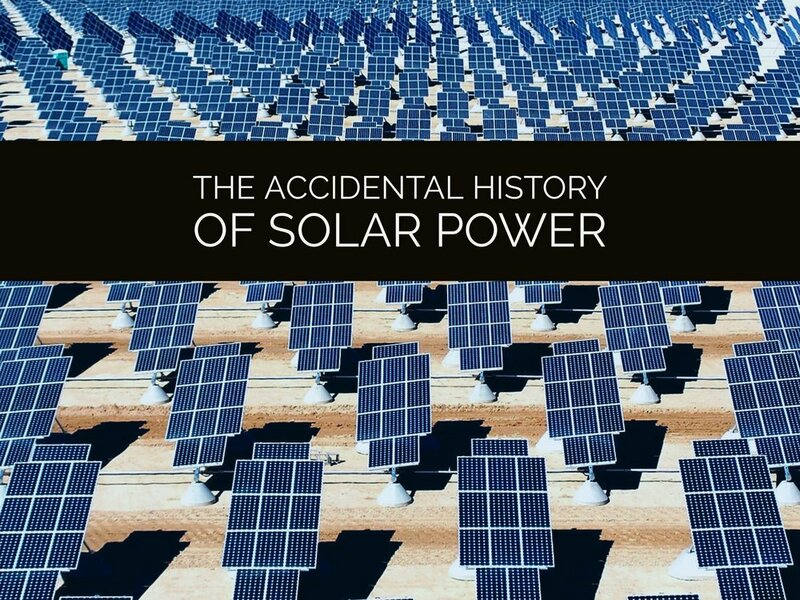 In this week's episode, solar power is all the rage these days, but how did it get its start? And what the heck is net-metering? Also we'll hear about the resurgence of a deadly form of black lung in coal country and why, despite the severity of these health hazards, it's not getting a lot of attention. Note: This is an hour-long broadcast version of our show made especially for the radio. This show is made up of stories subscribers to the podcast have already heard so it won't show up in your podcast feed. If you'd like to support the work that we do, consider supporting NHPR, the NPR member station for the great state of New Hampshire, and the entity that pays our bills. Thanks! If you’re even the least bit interested in taking some sort of personal action on climate change, you inevitably wind up researching solar power. And when you research solar power, you come across an obscure, hard-to-parse, seemingly content free term: net metering. Buckle up folks, we're going full energy nerd. When he was just 38 years old, Mackie Branham Jr., a coal miner, was diagnosed with progressive massive fibrosis, a debilitating and terminal form of black lung, a disease that was thought to be a relic of the past; a problem when coal mining was at its peak. In this episode we hear from Branham and his family, in a collaboration with Producer Benny Becker who reported on the resurgence of black lung in coal country. We'll look into why, despite the severity of the illness and the large number of miners being diagnosed, it's not getting a lot of attention. This week’s episode includes tracks from Mon Plaisir, Jahzzar, Jason Leonard, Blue Dot Sessions and Podington Bear. Check out the Free Music Archive for more tracks from these artists. For more information on the plight of Mackie Branham Jr. and other coal miners like him, and the resurgence of black lung, we encourage you to read/listen to the reporting done by Benny for Ohio Valley ReSource back in December of last year: "Fighting for Breath: Black Lung's Deadliest Form Increases"
After the story first aired, Benny and the Ohio Valley ReSource received many requests asking how they could help the Branhams. This is a follow-up to the story: "How to Help Those 'Fighting for Breath'"
These stories resulted from an investigation by NPR's Howard Berkes which uncovered an alarming trend of progressive massive fibrosis in Appalachia. Howard's original story can be found here: "Advanced Black Lung Cases Surge in Appalachia"
We also recommend watching Harlan County USA, the Academy Award-winning documentary from Barbara Kopple which follows a grueling coal miners' strike in Kentucky in the mid 70s. In 2008, the National Institute for Occupational Safety and Health (NIOSH) produced this film, Faces of Black Lung which shares the stories of two miners suffering from black lung disease. Benny Becker and Sam Evans-Brown, with help from, Maureen McMurray, Taylor Quimby, Molly Donahue, Jimmy Gutierrez, and Logan Shannon. Thanks to NPR and to Howard Berkes for sharing some of Howard’s audio from his reporting. Also, thanks to Jeff Young of the Ohio Valley Resource and to WMMT, Appalshop’s community radio station. Music this week from Mon Plaisir. Check out the Free Music Archive for more tracks from this artist.